Learning a new instrument can be a great way of breathing new life into your drumming and songwriting skills. And now, thanks to our sister title Guitar Techniques, you can pick up tips and tricks to help you get to grips with acoustic guitar. 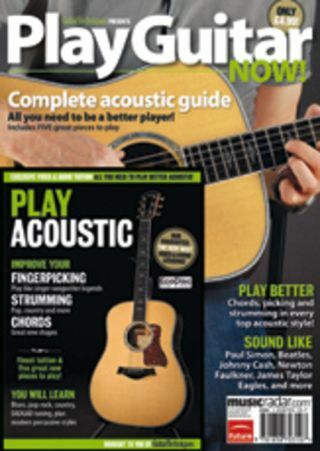 Play Guitar Now - Complete Acoustic Guide is crammed full of exercises and lessons catering to different skill levels, meaning newcomers can master the basics and experienced heads can brush up their technique. The magazine - which comes bundled with a DVD - is available now in newsagents, or you can order a copy from here.